Spacious workshop opposite the double gateway off Devon Road entrance. 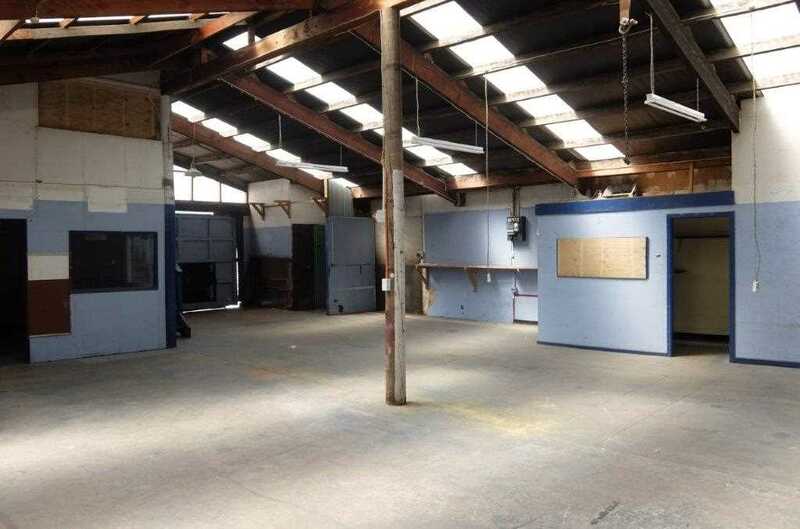 Leased as a Motor Vehicle workshop for many years, it is also suitable as a builders and contractors depot. Double doorway at the entrance, sliding door at the rear with a personal door off the driveway. Premises provide an office, storeroom and mezzanine. Staffroom with shared toilet facility.